Handheld gaming devices are a constant in today’s digital world. Knowing the specifics can help you make a better choice for your kids. Here is an overview of current handheld game devices, including price point and recommended age range for each device. The Nintendo 3DS and 3DS XL (the larger screen version) both come with a 3-D screen that allows users to view 3-D features without using 3-D glasses. The 3-D capability can be turned off or adjusted via its 3D Depth Slider. Each device also features a Circle Pad, motion sensor, and gyro sensor as part of the gaming interface. Nintendo 3DS devices come equipped with the SpotPass feature, which allows for wireless Internet access, as well as StreetPass, which allows your child’s 3DS device to exchange data with other 3DS systems. You can turn off both features if you don’t want your child’s device to connect to Wi-Fi or other devices. Each 3DS also includes a Nintendo 3DS Camera as well as access to Internet browsing. Parental controls can be enabled on the 3DS to restrict game use by rating or Wi-Fi, 3D, and StreetPass. Prices for the 3DS and 3DS XL range from approximately $170 (US) to $200. Nintendo 3DS is recommended for kids age 6 and older. Like the Nintendo 3DS, Nintendo DS handheld game consoles include a camera and Wi-Fi connectivity for Internet browsing. The Nintendo DS also allows for online and multiplayer games, which can be disabled via parental controls. The Nintendo DS is slightly smaller than the Nintendo 3DS and retails for about $100. The XL model has a bigger screen. Games for the Nintendo DS begin at a suggested age range of 4 years of age and older. Nintendo offers online support for all of their handheld gaming devices. The PSPgo retails for about $200, and the PSP-3000 retails for about $130. 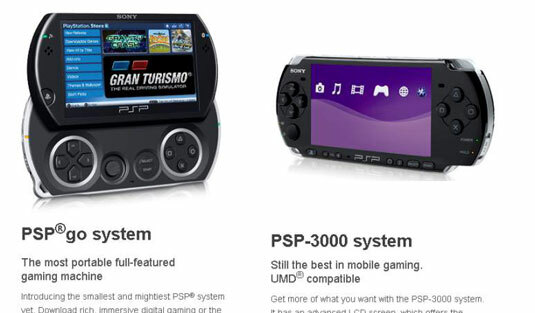 Games for the PSPgo and PSP-3000 begin at a suggested age range of 7 years of age and older. The Sony PS Vita is a handheld gaming system that comes in a Wi-Fi only option as well as a Wi-Fi plus 3G-connectivity option. Each handheld gaming console features a touch screen, motion sensor, cameras, GPS, and the ability to connect with the PS3 game console. The 3G connectivity unit is powered by the AT&T mobile broadband network. The PS Vita is sold at a suggested retail price of $250. Games for the PS Vita begin at a suggested age range of 8 years of age and older. The Leapster Explorer is recommended for ages 4 to 9 years and is touted to be a learning game system although it does include just-for-fun games. This device comes with preset games and videos, but also plays downloaded and cartridge-based games, videos, and e-books. The main goal of the Leapster Explorer is to provide kids with games that help them practice learning skills, such as reading, writing, math, and science. 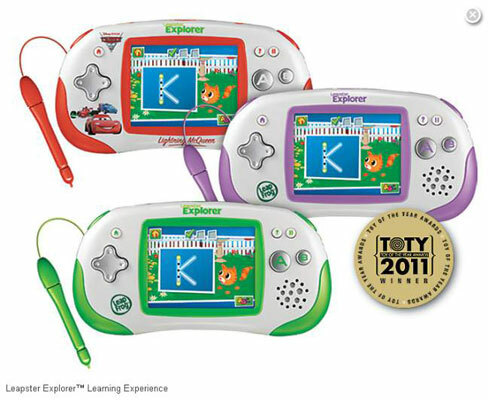 Because the Leapster Explorer is a learning device, it includes access to an online application that allows parents to track their children’s learning progress through the use of the games. Kids can also participate in a related online world, LeapWorld. The Leapster Explorer retails for a suggested price of $70. The LeapsterGS Explorer includes a camera that takes pictures and videos as well as a touch screen and motion sensor. Recommended for ages 4 to 9 years, this device comes with preloaded games and also plays downloaded and cartridge-based games and videos. Like the Leapster Explorer, the LeapsterGS focuses on learning skills, such as math, reading, and writing, and children’s progress can be tracked online through the LeapFrog Learning Path. The LeapsterGS Explorer retails for a suggested price of $70. 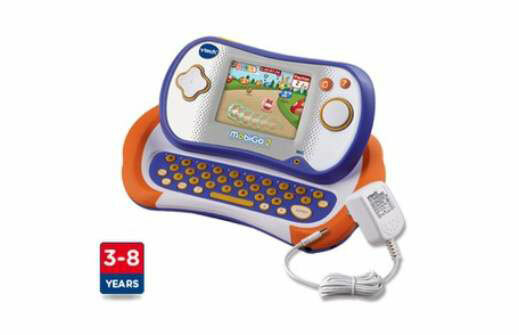 The VTech MobiGo handheld learning device is recommended for ages 3 to 8 years and retails for about $60. Each device comes with preloaded games and uses downloaded and cartridge-based e-books, coloring books, an art studio, a photo album, games, and videos. The MobiGo includes a slide-out keyboard as well as a microphone, touchscreen, and camera. Games focus on learning skills, such as math, vocabulary, spelling, reading, logic, and drawing. The iPod touch from Apple began primarily as a way to store and listen to music, but has evolved to include Wi-Fi capability, Internet browsing, camera and video capabilities, and a game center where users can download single and multi-player game apps from the App Store. There are parental restrictions available for the iPod touch that allow you to limit the types of apps and games your child may access. You can also use the parental controls to change settings, such as the ability to play multiplayer games and the use of location services. The iPod touch retails for a suggested starting price of $300.